I travel to London frequently and I am pretty lucky to be able to crash in a very cool flat right in the heart of things. I get museums, galleries, shops, the embankment, the sculptures, street art and the markets. And of course amazing restaurants – which I try and visit as much as I can. Sometimes I prefer to stay in and curl up with my kindle but still get in some really good food. And luckily for me one of the nearest supermarkets to the flat is a Marks and Spencer – which I visit rather often. I particularly like their cannelloni, crispy duck and pilaf rice. So when they got in touch with me and asked me if I wanted to review some of their Summer of Flavour range, I rather over eagerly agreed. The summer of flavour range is all about bringing us world food through fantastic ingredients and flavour combinations. I am talking yuzu, hibiscus, zatar as well as flavour combinations such as cream cheese and wasabi and chicken wings flavoured with tequila and Mexican peppers. 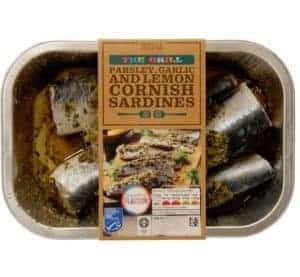 OH’s absolute favourite of the eats was their parsley, garlic and lemon Cornish sardines. We both love sardines and cook them a lot. These ones are certainly very good. They were a perfectly sized and juicy, you could taste both the fish and the fresh lemony herbs. It is how sardines should taste. I think my joint favourite with the sardines was the spiced lamb and pomegranate fire bread. 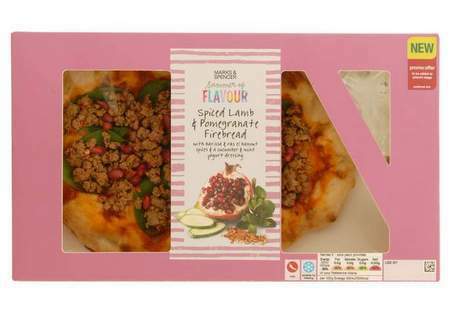 It was a good Moroccan style bread, with the richly spiced (sour sweet) lamb packing a fragrant flavour along with the burst of pomegranate seeds. It cooked up nice and crisp round the edges whist still staying soft in the middle. Their coconut water and watermelon juice took me right back to warm Sierra Leonean days, beaches and cool refreshing drinks. I like that this was what it said on the tin – basically coconut water (50%) and watermelon (49%) and non of the sugary sweetness that can sometime be found in tropical style drinks. 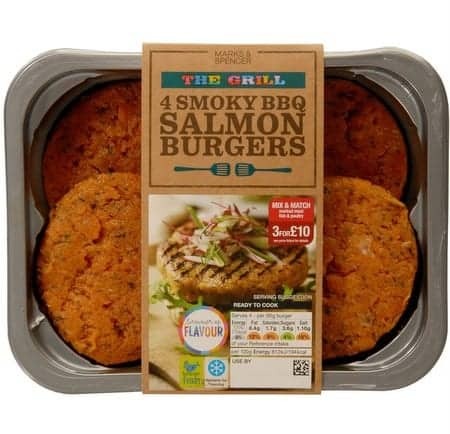 The drink went down a treat with their BBQ salmon burgers we served our guests last weekend. The smoky paprika really brought out the flavour of the fish and when topped with their smoked soured cream made for some seriously juicy burgers. I definitely recommend that these burgers be served with some sweet potato fries. The purple and orange sweet potato crisps were as much fun to look at as to eat. Who knew that purple sweet potatoes even existed? 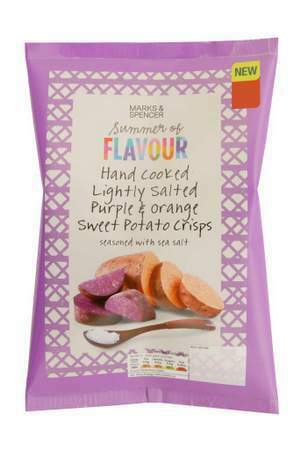 The crisps were lightly salted so it was all about the taste of the sweet potato than anything else. Mini chefs definitely downed these big time. My big guilty pleasure was their chocolate vanilla cheese cake which I hid it in the back of the fridge. I ate every single mouthful by myself. With cheese cakes, I generally eat only the ‘cheesey’ bit and throw away the often soggy base. Not with this one though. The chocolate bourbon base stayed perfectly crunchy. So I kept starting with the base and ending with the seriously velvety chocolatey top. 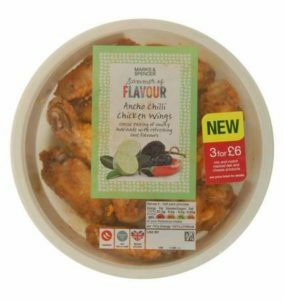 The spicy and exciting combination in both the pineapple juice with lemongrass and jalapeño and the ancho chilli chicken wings, really appeals to my tastebuds. It has been a hard job saving them for the barbeque I will be hosting next week. But I really want my guests to try these so, I am (im)patiently waiting till then. But I am certain that I will like them as much as everything else. This is just a small selection of some of the things we tried from the Summer of Flavours eats. A lot of items in this range also come come as part of their mix and match offer where you get a discount if you buy three things from that range. Even better value for money in my book. So next time you are going past a Marks and Spencer store, definitely do pop in and try a few of their items. Thanks to Mark and Spencer for sending me some of their summer of flavours range to review. 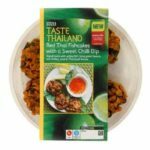 M&S are definitely my go place to for ready meals. I like new foodie best friends. I have not yet made crisy duck but on my to do list. Good old M and S and what a lovely haul of tasty meals too Bintu! 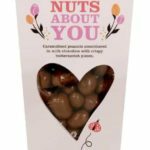 I was very pleased to review these. GG – honest, those sardines were just fantastic. I love purple sweet potatoes – certainly brightens up the plate! 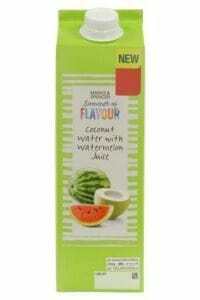 The coconut and watermelon drink sounds divine, and might even be worth a trip to our (not very near) nearest M&S! I highly recommend a trip to try these out. Trust M&S to have such a wide range of summer treats for us! I love anything from M&S, they really know what they are doing when it comes to food. 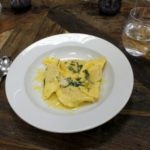 I tried out a few summer recipes with them a couple of weeks ago and i wasn’t disappointed. Love their picnic deal when you get a free bottle of wine if you buy 4 food items. It is a win win Gemma. Really good food and good deals too. I really like the fact that it is all natural and full of flavour. It s really good Janie. M&S really got the flavour right with this firebread. I love M&S and their Summer of Flavour recipes are just amazing! Yes, their food was all so god It was difficult to even narrow it down to the stuff I picked. You describe the food so beautifully. M & S can always be relied on to offer wonderful food. I particularly like the sound of the sweet potato crisps. I have been raving about their food to all my friends. They had lots of other cheesecake flavours that I need to try out. I became advised this excellent website by means of the relation. 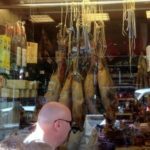 I’m not optimistic whether it distribute is usually prepared by means of your pet since nobody else realize these kinds of exceptional around the issue. You might be amazing! Thanks a lot! Exactly who hasn’t discovered that wonderful performance nonetheless? game comes with only just been unveiled and it now has got tons of retrievals. iOS. I mistrust they’ll ever provide this approach gameplay for the games console game enthusiasts, nonetheless all sorts of things is feasible. now on. Check out your Star Wars: Force Arena cheats following. Some of our hack into program designed for Star Wars: Force Arena. which may show where an individual is born and grew up. The results of the analysis, together with jewellery found with the body, pointed to the fact that she grew up in southern Norway. pode ajudá-lo(a) a persistir na combate em relação a êxito. frequently yyou update your site? Best diamond nail art ideas design ideaz.